A proud tradition serving the youth of Toms River, NJ since 1953. Please send comments or suggestions regarding this website to the TRLL Webmaster. TRLL Spring 2019 Online Registration is currenlty open 24x7 days a week. Additional onsite registration dates for February will be announced shortly. 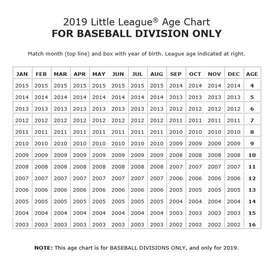 ** TRLL Majors (9yr-12yr old) player evaluations for team drafting will be held on Saturday 2/16/2019. Any Majors 9yr-12yr old players registered after 2/16/2019 may be subject to a LATE registration fee. ** ALL Non-Majors Player registrations must be completed by 3/1/2019. Any players registered after 3/1/2019 are subject to a LATE registration surcharge. Any late registrations are subject to being placed on a "wait list" and are NOT guaranteed placement on a team for Spring 2019. Please contact the TRLL Executive Administrative VP - Brian Doyle - bdoyle329@gmail.com or the Player - Agent Jim Knight - jknight4403@gmail.com with any questions or updates regarding registration for Spring 2019. There is an online registration portal available! All registrations should use the online portal. Anyone that has previously registered at TRLL since the Spring 2012 season should be able to access the portal using your previously defined username and password. If you forgot your username or password, try clicking on the "Forgot username or password?" link within the registration portal logon window. Please use your previously created family profile to register returning and any new family member players to save yourself from re-entering all of your family and player profile information again. The online registration portal will prompt you to create a new login and password for each family if you were not previously registered for a TRLL season. After creating your online username and password, you will be able to register individual or multiple players after you create your username and password. Please remember your username and password since you will be able to use it later on during the season for tracking your players' schedule and other league information services. Print and bring a copy of the completed online registration invoice/receipt to the TRLL complex on a registration date. TRLL will be accepting online registration payments ... or you may visit the TRLL complex on a published registration date to process payment and complete the registration process. EVERYONE WILL NEED TO COME TO THE TRLL COMPLEX ON A PUBLISHED ONSITE REGISTRATION DATE TO HAND DELIVER THEIR $200 WORK BOND CHECK. If anyone in your family would like to Manage, Coach, or Assistant Coach, please specify during the registration process in the comments/request section of the registration form (Safety Certification will be required). There will also be a few computer workstations available at the TRLL complex during the onsite registration dates if you are unable to complete the registration process from your home computer. Registration fees (cash, check or credit card) and an independent, post-dated work bond check (checks only) can be collected on the day you register your child at the TRLL complex. One check per family in the amount of $200.00 post-dated July 31st, 2019. Bond checks will be returned upon successful completion/certification of work bond volunteer hours - 5 hours per family. A TRLL Work Bond Form must be completed and signed by a TRLL board member. Any family that does not complete their work bond obligation will have their check cashed by TRLL after 7/31/2019. All new registration candidates will need to bring a copy of their birth certificate along with Proof Of Residency (recent Tax Bill, Utility Bill, etc...) on a published registration date. If you are a returning player, your Birth Certificate and Proof of Residency should already be held on file. If not, please be prepared to bring proof of birth date and residency that may be missing. 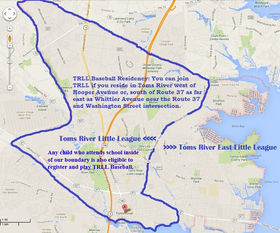 Baseball Residency: You can join TRLL if you attend school and/or reside west of Hooper Avenue or, south of Route 37 as far east as Whittier Avenue near the Route 37 and Washington Street intersection. Click here to access the Little League Locator if you need help confirming your residence or school address inside a Little League boundary. The TRLL Board of Directors is an all-volunteer leadership organization committed to managing and enhancing the Little League experience for the youth of Toms River, NJ. Regular TRLL Board of Directors meetings, typically held monthly and posted on our website, are open to the public for all TRLL members and parents that would like to attend. A TRLL parent must attend at least two Board of Directors meetings during the current election year to be able to vote for TRLL Board members at the annual elections (held each October). TRLL encourages all parents to volunteer and take an active role in making our Little League the best experience possible for the youth of Toms River. Click Here to download/view/print the Toms River Little League Constitution detailing the roles and responsibilities of the Toms River Little League Board of Directors. The next TRLL Board of Directors meeting will be held on Wednesday 03/06/2019 @ 7:30 PM. TRLL Board of Directors Meetings are generally held monthly in the TRLL complex board room @ 181 Mapletree Road. Board Meetings will be generally scheduled the second Wednesday of every month (7:30pm). TRLL Board Meeting dates and times will be posted on the TRLL website. The TRLL Board of Directors is an all volunteer leadership organization committed to managing and enhancing the Little League experience for the youth of Toms River, NJ. Regular TRLL Board of Directors meetings are open to the public for all TRLL members and parents that would like to attend. A TRLL parent must attend at least two Board of Directors meetings during the current election year to be able to vote for TRLL Board members at the annual elections (held each October). 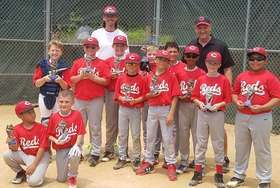 TRLL encourages all parents to volunteer and take an active role in making our Little League the best experience possible for the youth of Toms River. TRLL will be hosting our Annual General Membership Meeting & 2018-2019 Board Member Elections on Wednesday 10/10/2018 @ 7:30pm. 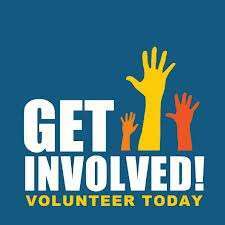 We encourage you to attend and consider a position on our all volunteer board of directors if you are interested in helping make the Toms River Little League experience the best it can be for the youth of Toms River. TRLL Board of Directors Meetings are generally held monthly in the TRLL complex board room @ 181 Mapletree Road. TRLL Board Meeting dates and times are posted on the TRLL website. The TRLL Board of Directors is an all volunteer leadership organization committed to managing and enhancing the Little League experience for the youth of Toms River, NJ. Regular TRLL Board of Directors meetings are open to the public for all TRLL members and parents that would like to attend. A TRLL parent must attend at least two Board of Directors meetings during the current election year to be able to vote for TRLL Board members at the annual elections (held each October). All TRLL parents are eligible to run for a position on the TRLL Board each election year. TRLL encourages all parents to volunteer and take an active role in making our Little League the best experience possible for the youth of Toms River. Visit http://www.trll.us for all information about our league. 2018 TRLL MIT All Star Champs! Congratulations to the TRLL MIT All Stars for going undefeated and bringing home the 2018 MIT Championship! 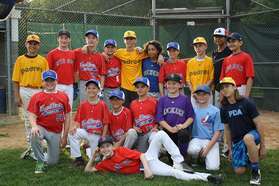 Our 12-year-olds showed off their batting, throwing, and running skills at the TRLL Annual 2018 Skills Competition!!! Congrats to all the winners in each category! 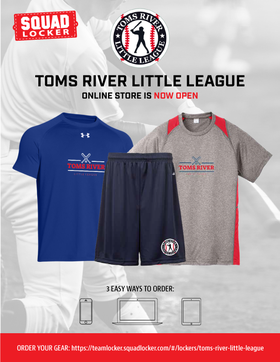 Toms River Little League Gear! TRLL ONLINE STORE NOW OPEN! Exciting news TRLL families! We have created a new custom ONLINE store full of great TRLL spirit wear and other gear from leading brands, such as Under Armor, Champion, Badger, and Sport-Tek. 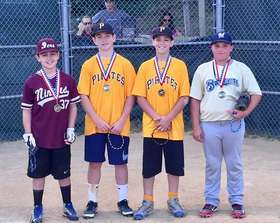 Go to https://teamlocker.squadlocker.com/#/lockers/toms-river-little-league to take a look. Most items can be customized with player name and/or number (for an additional small fee). Order exAll purchases are shipped directly to you in less than two weeks. Thank you for supporting TRLL! It's not too early to start gearing up for the Spring 2018 baseball season with TRLL discount coupons from Dicks Sporting Goods! TRLL Opening Day is April 6, 2019. 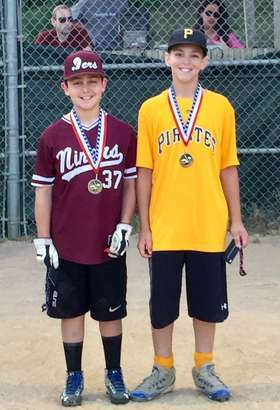 AAA 9-10yr Division and Majors 11-12yr Division teams are forming now. 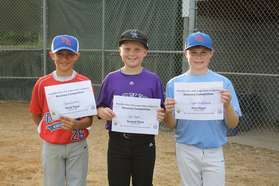 All other Little League division teams will begin forming in early March. Your assigned coach will be contacting you as soon as rosters are formed and distributed. Click Here for the "Spring 2019 Dicks Coupon.pdf" link for in-store purchase coupons at Dicks Sporting Goods on Route 70 in Brick, one of Toms River Little League's biggest sponsors! Save on gloves, cleats, bats and more! Discount coupons also apply to other team sports gear (e.g., lacrosse, soccer, basketball). 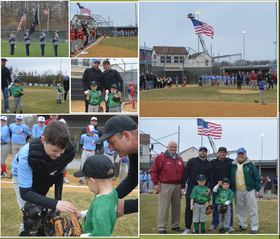 Toms River Little League would like to thank all of the sponsors, special guests and volunteers for making the 2018 Opening Day a special event for everyone. PLAY BALL!!! Please note that as of January 1, 2018, the new USA Baseball Bat Standard will be implemented by Little League. Little League-approved baseball bats that are approved for use for the 2017 season will no longer be acceptable for use in any Little League game or activity starting on January 1, 2018. 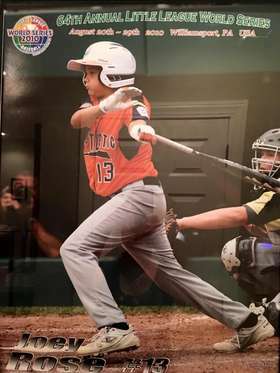 Click on the below link for a presentation by Little League Baseball on the new bat standards. The 2017 TRLL 11u All Stars were honored at this evening's (9/26/2017) Toms River Town Council meeting. All Players and Coaches were presented with Proclamations for winning the 2017 New Jersey Little League 11u State Championship this summer. Very well deserved. Great job team! Thank You Mayor Kelaher and the entire Toms River Town Council. 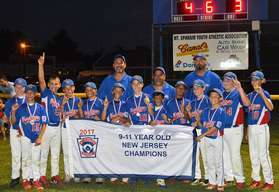 TRLL 11u All Stars - 2017 NJ Little League State Champions! 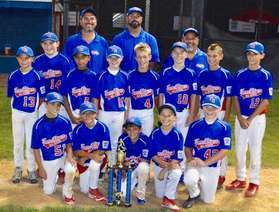 Congratulations TRLL 11u All Stars - 2017 District 18, Section 3 and NJ State Champions! 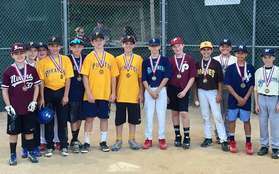 Congratulations and Thank You to all of the TRLL players that participated in the 2017 TRLL Home Run Derby Saturday evening. 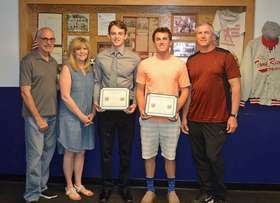 Congratulations to the Class of 2017 TRLL Tom "The Candyman" Kelleher Scholarship award winners: Christian Romano and Zachary Mann. 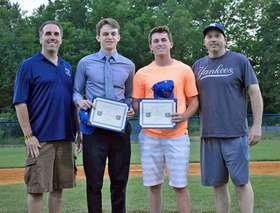 Both of these former TRLL ball players were awarded $1000.00 scholarships for their academic achievement and Little League experience essays submitted to TRLL. Christian Romano will be attending North Carolina State University and Zachary Mann will be attending Villanova University this Fall. Good Luck to both of you as you continue your education. You have made your families and TRLL very proud! 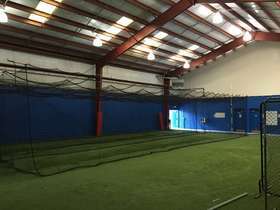 TRLL Indoor Training Facility Improvements! 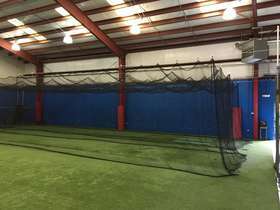 It has been a long-time goal at TRLL to replace the aging, metal batting cage structures within our indoor training facility with slide-away netting. That goal became a reality on November 3, 2016 thanks to our league fundraising efforts this past year! Special thanks go out to everyone who contributed and/or attended the TRLL Spring 2016 Poker Night event held at The Villa (Office Lounge) Banquet Facility this past May. All of the funds raised at that event helped to finance this improvement to our training facility. 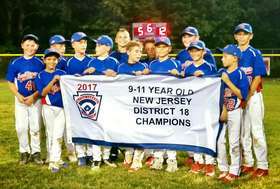 As always, we appreciate the support of all of our members as we continue the tradition of providing the youth of Toms River Little League a great place to develop their baseball skills! 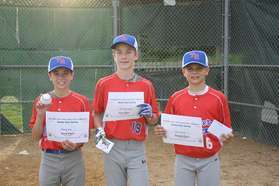 Congratulations to Joey Rose (2010 TRLL All Star and LLWS Mid-Atlantic Champion) for being drafted by the Arizona Diamondbacks in the 5th round of the 2016 MLB player draft. The TRLL community is very proud of you. Good Luck! Thank You Bert Pero for 30+ Years of Service! TRLL and the Township of Toms River recently recognized with appreciation the 30+ years of service of outgoing TRLL President Bert Pero. Bert has selflessly served our community in various roles at TRLL for more than 3 decades. 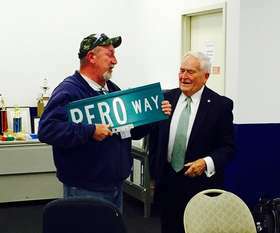 During our annual membership meeting held on 10/15/2015, Toms River Mayor Thomas Kelaher presented Bert and TRLL with a new road sign that is destined for the entry of TRLL to be named "PERO WAY". Thank You is not enough for all you have done for our Little League and all of the young athletes that have played here through the years. Your service and dedication to TRLL will ALWAYS be remembered and honored. TRLL will announce multiple opportunities throughout the year when volunteer help will be required. Parents, take a minute to fill out the volunteer form while registering your child. If you are not a parent and would like to volunteer, take a minute to fill out the form while visiting your local registration location. The 2015 Little League volunteer application form can also be downloaded here. No experience is required to become a volunteer. Most of the volunteer opportunities require little or no training. Your local league will provide you with any necessary training (as well as support and encouragement), as they deem necessary. The best volunteers are those who are able to bring added enjoyment to the game simply by being themselves. What you see during Little League games is a mere fraction of what you can do as a volunteer. 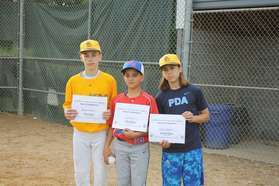 You can volunteer to help in virtually any aspect of Little League Baseball or Softball. 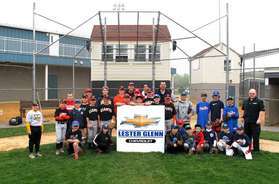 TRLL would like to thank the Chevy Youth Baseball program and Lester Glenn Chevrolet on Route 37 in Toms River for their continued support of Toms River Little League in 2013! Now in its seventh year, Chevy Youth Baseball is a grassroots initiative that establishes a positive relationship between local dealers and the communities they serve. 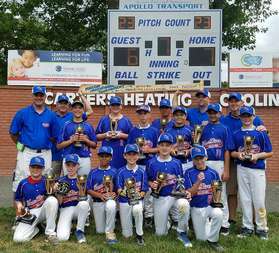 Chevy Dealers sponsor their local youth baseball leagues as a part of Chevrolet's nationwide commitment to support youth sports, one community at a time. WE KINDLY ASK OUR TRLL FAMILIES AND FRIENDS TO REFRAIN FROM BRINGING DOGS AND OTHER PETS TO OUR TRLL COMPLEX. PETS AND ANY UNFORTUNATE CONTACT WITH PEOPLE ARE EXPRESSLY EXCLUDED AND NOT COVERED BY OUR VARIOUS INSURANCE POLICIES. WE REGRET THE INCONVENIENCE ... WE ALL LOVE OUR PETS. THANK YOU FOR YOUR SUPPORT AND COOPERATION. WE HOPE TO HAVE OUR NEW SIGNS UP SOON.